If you’re looking for something sweet, why not try some fruit instead of many of the other calorie dense desserts or snacks? It’ll hit the spot in terms of sweetness, but it comes without the side-helping of guilt. Here are ten of the healthiest fruits you can enjoy to curb your sweet tooth. Blueberries are also a good sweet treat option for those watching their weight. Not only will their sweetness stop you from tearing into a packet of Oreos, but they’re packed with good nutrients the body needs. One cup contains just 84 calories and provides 36% of your recommended daily intake of vitamin K, 25% of manganese and 24% of your vitamin C needs. 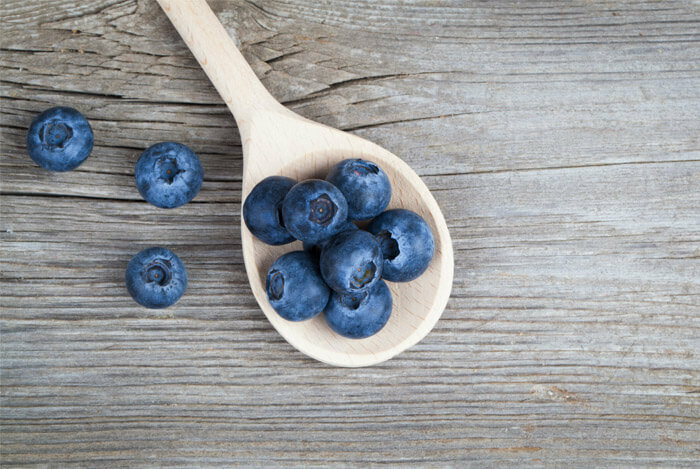 Find out more about the great health benefits of blueberries here. 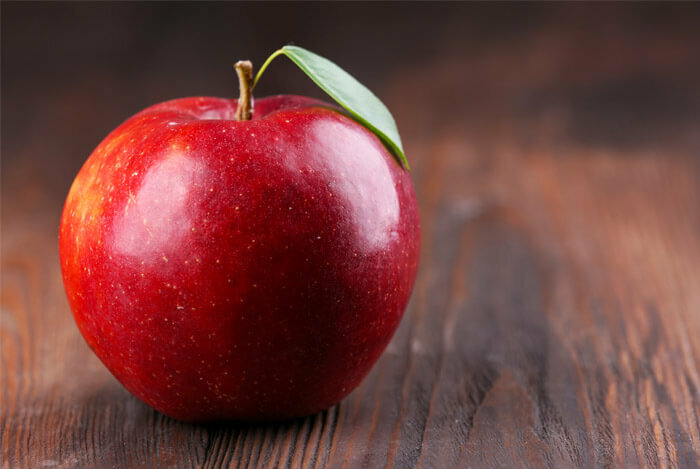 Apples are another great fruit to snack on if you’re looking to lose weight, mainly because they’re high in fiber. Research has proven that choosing apples over cookies as a snack will help you lose weight, mostly because of the difference in calorie content and satiety. One medium apple, with skin, contains 95 calories, 17% of your fiber requirement and 14% of your vitamin C needs. Pineapple is one of my all-time favorite fruits. It’s naturally sweet and syrupy so a little goes a long way to stopping those sugar cravings. One cup of pineapple chunks will add just 82 calories to your daily tally but will provide a huge 131% of your daily vitamin C needs and 76% of your manganese needs. What makes this tropical fruit so impressive is that it’s one of the richest sources of the enzyme bromelain. 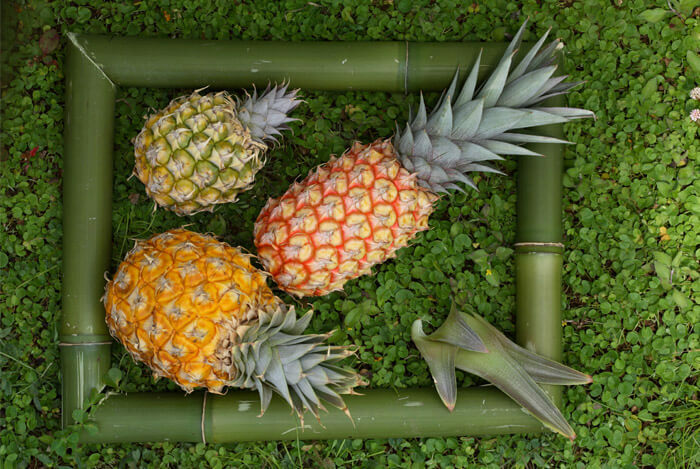 Bromelain may help aid digestion. Because the core of the fruit contains the most bromelain, you’ll want to make sure the pineapple is pretty ripe so you can tuck into a softer core. Eating a kiwifruit after a meal instead of a dessert might be a good idea for several reasons. Naturally you’ll keep your calories, sugar and fat intake down. But you may also be benefiting your digestive system. 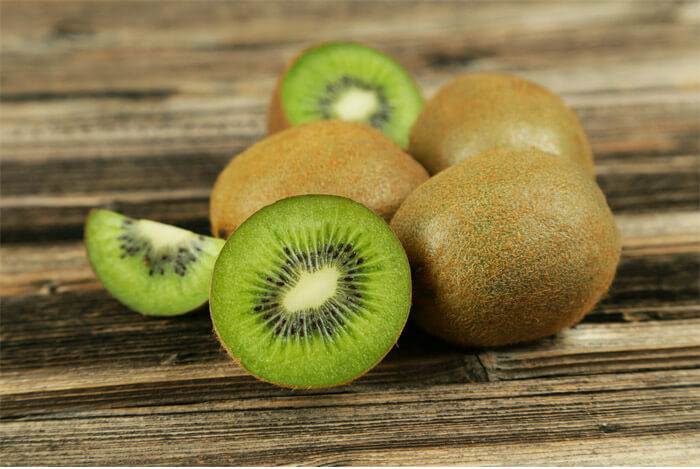 Kiwifruit contains actinidin, a compound that breaks down protein. Lab experiments and animal studies show that this compound may improve protein digestion in the gut, perfect for those times when you’re feeling unpleasantly full after a high-protein meal. One medium kiwifruit, without skin, will cost you a measly 46 calories, but for that you’ll be getting more than your daily requirement of vitamin C (117%), 38% vitamin K and 9% of your fiber needs. Want extra nutrients? Eat the skin too – here’s what you’re missing out on if you don’t. A perfect summer fruit, watermelon is sweet, refreshing and hydrating. A compound in watermelon, called citrulline, is believed to be behind its cardiovascular benefits. This amino acid helps our bodies produce nitric oxide, a gas that helps blood vessels and arteries to stay flexible, thus lowering blood pressure. Another compound in watermelon, called lycopene (which is also found in tomatoes), may further protect heart health. A 2011 study from South Korea found that lycopene can reduce oxidative stress, blood pressure levels and inflammation, all of which contribute to an unhealthy heart. 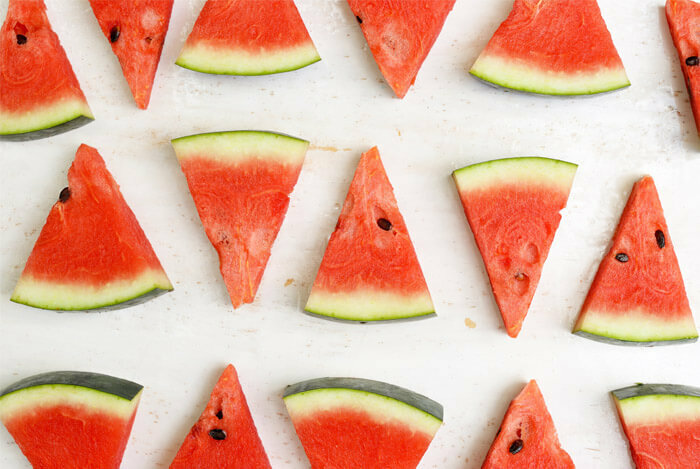 One cup of diced watermelon contains just 46 calories, 21% of your daily vitamin C needs and 17% vitamin A, along with trace amounts of other important vitamins and minerals. Thanks to its high water content, it also counts toward some of your daily fluid intake. Sweet and tart cherries are a delicious low calorie snack. 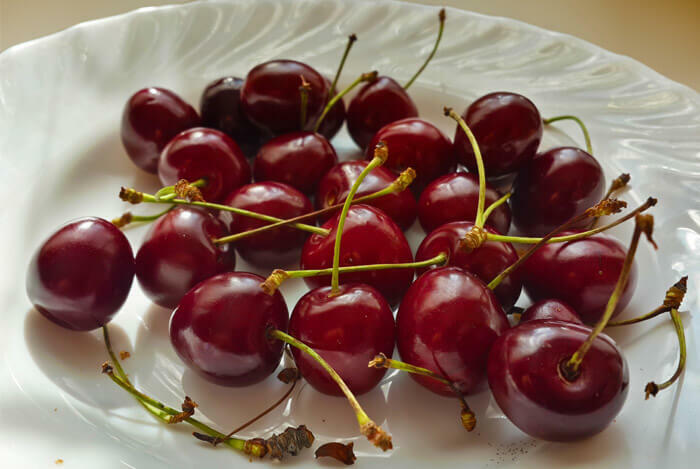 One cup of cherries with pits, provides 87 calories, 16% of your vitamin C needs and 12% of your daily fiber requirement. Sometimes, I think oranges are underrated in their health benefits. Sure, they’re touted for their vitamin C content, but they have a lot more going for them than just that. For starters, they can play a role in kidney health. 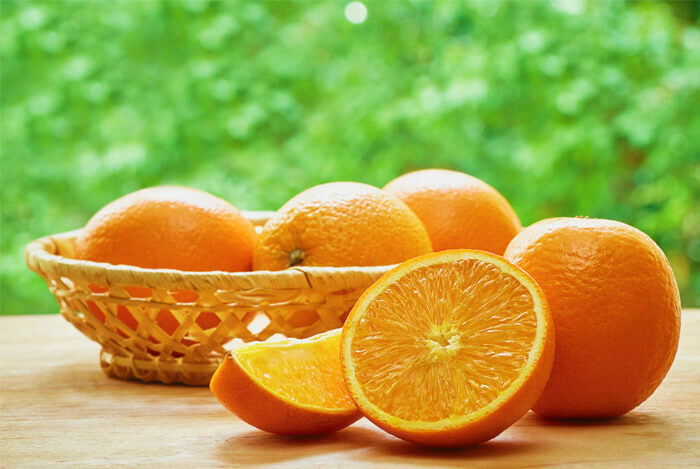 Oranges are a good source of citric acid and citrates, which prevent the formation of kidney stones. These natural citrates have been shown in studies to have similar effects to potassium citrate, which is often prescribed to those with stones. One regular orange has 62 calories, 116% of your vitamin C requirement, 13% of your fiber needs and 10% of your recommended folate intake. Bananas are one of the most consumed fruits in the world. They also have a number of health benefits, most notably when it comes to the health of you heart. The American Heart Association says that a diet rich in natural sources of potassium is important for controlling blood pressure. A large analysis that looked at numerous studies (carried out between 1966 and 2009) on the relationship of potassium, blood pressure and heart health, found that consuming around 1.3 grams of potassium daily reduces your risk of heart disease by 26%. 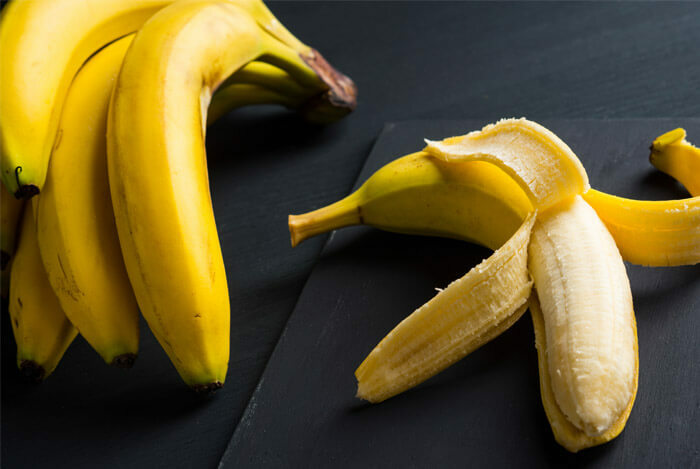 One large banana has almost 0.5 grams of potassium, in addition to 121 calories, 25% of your vitamin B6 requirement, 20% of vitamin C, 18% of manganese and 14% of your fiber needs. One cup of delicious papaya cubes has just 55 calories, 144% of your daily dose of vitamin C, 31% of your vitamin A needs, 13% of folate and 10% of both your potassium and fiber requirements. In fact, papaya is one of the highest fruit sources of vitamin A. This fat-soluble vitamin is important for healthy skin, teeth, tissue and vision. 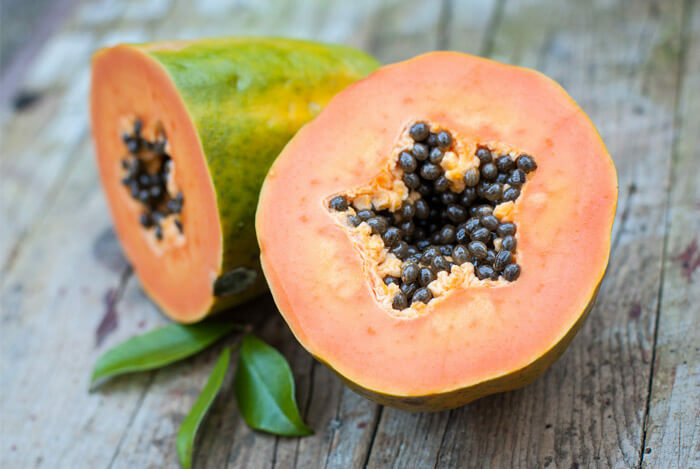 Papayas are also a pretty rich source of vitamin C – giving more than your daily requirement of the stuff. 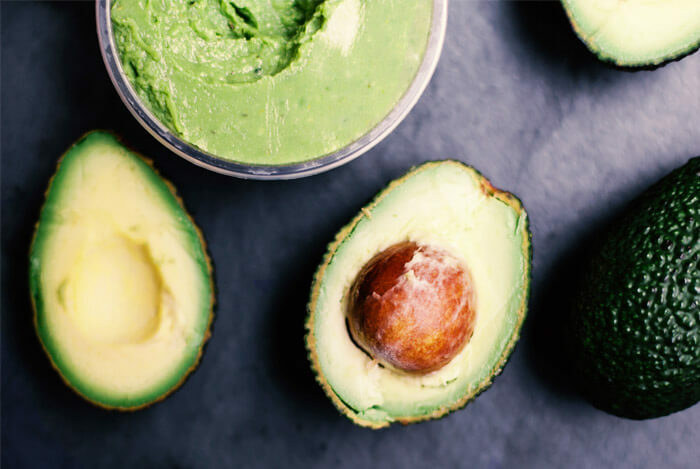 When you think of fruit, you may not instantly think of avocado. Even though it’s not sweet like the other fruits on this list, it’s definitely worth considering. These fruits are incredibly nutrient dense, offering nearly 20 vitamins and minerals per fruit including 53% of your daily dose of vitamin K, 41% of your folate needs, 33% of vitamin C, 28% of potassium and 21% of your vitamin E needs. What’s your take on these healthy fruits? Have anything else you’d like to share? Let me know in the comments below!